In this study, 65 commercial dry South African Chenin blanc wines were analysed for their thiol concentrations. Chenin blanc is generally considered a neutral variety, and is easily moulded by the winemaker’s choices. Chenin blanc can be fermented in stainless steel to preserve its freshness and fruitiness, but the cultivar also lends itself to different vinification techniques like barrel fermentation, barrel maturation and lees ageing. Despite the different winemaking practices resulting in different wine styles, Chenin blanc is often characterised as having “guava” and “tropical” notes, though the chemical(s) responsible for these aromas haven’t been established until very recently.3 Du Plessis and Augustyn based their original paper on this “guava” character, and found that it disappeared along with varietal typicity with the addition of Cu2SO4 to the wines. This led to the hypothesis that a sulphur-containing compound like 4MMP could be responsible for the “guava” character. 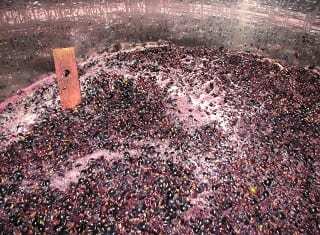 Thanks to advancements in the field of analytical chemistry and to the development of methods suitable for the quantitation of thiols in wine, thiol analysis has become more feasible for researchers to perform. Many issues had to be overcome before being able to perform thiol measurements in wine. These issues are related to the high volatility of the compounds, their sensitivity to oxidation, and their very low concentrations in wine (at ng/ℓ level). The advances in technology nowadays allow the determination of such compounds at incredibly low levels, with a good accuracy and reliability. In total, 65 commercially-available dry South African Chenin blanc wines were analysed over two years. Twenty-five were measured in 2015 and 40 in 2016. At the time of analysis, the ages of the wines were as follows: one-year- (n=48), two-year- (n=13) and three-year- (n=4) old. Samples were purchased from retailers and wine farms within the Western Cape. Information on each wine for the trend exploration portion of this study was obtained from the bottle labels, fact sheets and communications with tasting room managers and winemakers. Considering that the wines measured were a mixture of ages, which may have an impact on thiols, the thiol analysis results (Table 1) are subdivided by age of the wine at the time of measurement. Comparing the one-year-old Chenin blanc wines to a set of 24 one-year-old South African Sauvignon blanc wines,8 the average of 3MHA in the Chenin blanc wines is much lower (31 ng/ℓ in Chenin blanc, compared to 158 ng/ℓ in Sauvignon blanc), but the average level of 3MH is comparable (883 ng/ℓ, compared to 970 ng/ℓ in Sauvignon blanc). This means that 3MHA may be more important than 3MH to differences in thiol-related aromas between young Chenin blanc and Sauvignon blanc wines from South Africa. The sensory perception of individual thiols at different concentrations has been studied in Sauvignon blanc using triangle tests with free description. These authors found that 3MHA contributes to “fruitiness” and “freshness” of wine at concentrations of 6.4 ng/ℓ, “tropical fruit” character at 25 ng/ℓ, and “tropical” and “box tree” aroma above 50 ng/ℓ. If a similar trend the same holds true for Chenin blanc wines, 3MHA could have a different sensorial impact at the different levels within the range of 3MHA found in this study (0 ng/ℓ – 305 ng/ℓ). Illustrated by the mean of 23 ng/ℓ of 3MHA, compared to the maximum of 305 ng/ℓ, a few wines had exceptionally higher levels than the rest. In 41 of the wines measured, however, 3MHA was not detected. It is possible that these differences in 3MHA level affect to the “fruity” or “tropical” aroma of the wines, but the sensorial impact of 3MHA in Chenin blanc is yet to be determined. Though the concentrations of 3MHA are lower than 3MH in the wines (Table 1), due to 3MHA’s lower odour threshold, it may have a higher impact on wine aroma than 3MH. 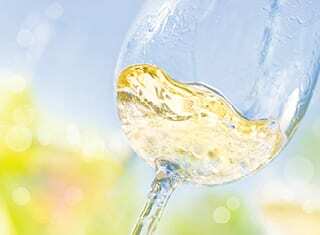 The concentrations at which these thiols were found indicate that the compounds should be perceived in the analysed wines, but it was proven that it is not always possible to predict how these thiols are perceived at different concentrations. These values help to highlight the fact that even though the concentrations of thiols found are only in concentrations of ng/ℓ, the compounds are still sensorially important to the wine. 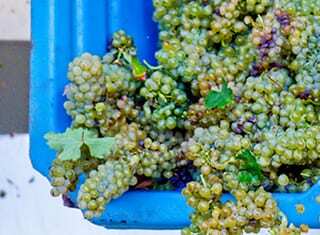 This two-part article presents the results obtained during a survey of commercial South African dry Chenin Blanc wines. The work focused on the levels of two important thiols, 3-mercaptohexanol (3MH) and 3-mercaptohexyl acetate (3MHA). Sixty-five wines were evaluated during this survey. Part 1 of the article includes an introduction on the presence of thiols in Chenin Blanc wines, a hypothesis which was presented more than 35 years ago, and how researchers got to test this hypothesis only very recently with the aid of state-of-the-art technology. This is followed by the general results obtained during the survey. Part 2 will present a trend exploration of these results. Mateo-Vivaracho, L., Zapata, J., Cacho, J. & Ferreira, V., 2010. Analysis, occurrence, and potential sensory significance of five polyfunctional mercaptans in white wines. Journal of Agricultural and Food Chemistry 58, 10184 – 10194. Du Plessis, C.S. & Augustyn, O.P.H., 1981. Initial study on the guava aroma of Chenin blanc and Colombar wines. South African Journal of Enology and Viticulture 2, 101. Wilson, C.L., 2017. 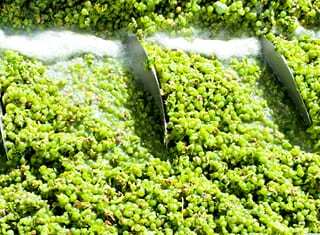 Chemical evaluation and sensory relevance of thiols in South African Chenin blanc wines. Stellenbosch University. Aleixandre-Tudo, J.L., Weightman, C., Panzeri, V., Nieuwoudt, H.H. & Du Toit, W.J., 2015. Effect of skin contact before and during alcoholic fermentation on the chemical and sensory profile of South African Chenin blanc white wines. South African Journal of Enology and Viticulture 36, 366 – 177. Tominaga, T., Darriet, P. & Dubourdieu, D., 1996. Identification de l’acetate de 3-mercaptohexanol, compose a forte odeur de buis, intervenant dans l’arome des vins de Sauvignon (Identification of 3-mercaptohexyl acetate in Sauvignon wine, a powerful aromatic compound exhibiting box-tree odour). Vitis 35, 207 – 210. Tominaga, T., Furrer, A., Henry, R. & Dubourdieu, D., 1998. Identification of new volatile thiols in the aroma of Vitis vinifera L. var. Sauvignon blanc wines. Flavour and Fragrance Journal 13, 159 – 162. Herbst-Johnstone, M., Nicolau, L. & Kilmartin, P.A., 2011. Stability of varietal thiols in commercial Sauvignon blanc wines. American Journal of Enology and Viticulture 62, 495 – 502. Van Wyngaard, E., 2013. Volatiles playing an important role in South African Sauvignon blanc wines. Department of Viticulture and Oenology, Stellenbosch University. – For more information, contact Astrid Buica at abuica@sun.ac.za or Jeanne Brand at jeanne@sun.ac.za.